Medical technologists, also called clinical laboratory tech­nologists, are health professionals whose jobs include many health care roles. 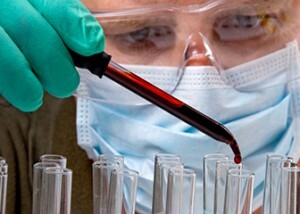 They perform laboratory tests essential to the detection, diagnosis, and treatment of disease. They work under the direction of laboratory managers and pathologists. Approximately 302,000 med­ical technologists and technicians are employed in the United States. The history of clinical laboratory work is intertwined with the development of medicine itself. By the end of the 19th century, bacteriology and other medical special­ties had developed rapidly, creating demand for full-time laboratory personnel. In the early part of the 20th cen­tury, many physicians taught their assistants how to per­form some of the laboratory procedures frequently used in their practice. The quality of the work done by these assistants varied greatly, and in the 1930s, an attempt was made to standardize training programs then available for the preparation of medical technologists. Professional societies for these technologists were established because of their important role in medical advancement. Medical and laboratory technologists have become integral to the health care system. Medical technologists perform laboratory tests to help physicians detect, diagnose, and treat dis­eases. The work of medical tech­nologists is generally done under the supervision of a senior medi­cal technologist, a clinical labo­ratory supervisor, or a physician who has specialized in diagnosing the causes and nature of disease. In laboratories, according to the American Society for Clinical Pathology, medical technologists work in five major areas: blood banking, chemistry, hematology, immunology, and microbiology. Technologists in clinical prac­tice ensure the quality of labo­ratory tests done for diagnosis. They may be responsible for interpreting the data and results and reporting their findings to the attending physicians. Many also assist attending physicians in correlating test results with clinical data and recommending tests and test sequences. Medical technologists may also have man­agement and supervisory tasks, including serving as laboratory manager, supervisor of lab sec­tions, and staff supervisor over other technologists and labora­tory personnel. The specific tasks performed by medical technologists are determined by the kind of setting in which they work. 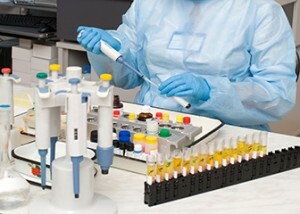 Technologists employed by small laboratories conduct many kinds of tests, such as blood counts, urinalyses, and skin tests. They use microscopes to examine body fluids and tissue samples to determine the presence of bacte­ria, fungi, or other organisms. They sometimes prepare slides from sample tissues and body cells to ascertain, for example, whether an individual has developed can­cer. Depending on the laboratory facilities and needs, they may be responsible for operating highly sophis­ticated medical instruments and machines. 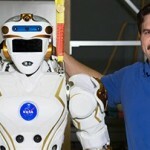 They con­duct research and maintain and make minor repairs to the instruments and equipment used in testing. Medical technologists employed in large laboratories are gener­ally specialists. Medical technology specialists normally have advanced degrees in their area of expertise. They are capable of handling sophisticated equipment and tests because of their education and training. They may be responsible for ordering, purchasing, maintaining, and repairing specialized equipment and instruments required for the laboratory tests. They design new labo­ratory procedures and establish or continue training and education of other employees in laboratory proce­dures and skills. A chemistry technologist, or biochemistry technologist, tests specimens of blood, urine, gastric juices, and spi­nal fluid to detect the presence of chemicals, drugs, and poisons, as well as levels of substances made by the body, such as sugar, albumin, and acetone. This information may be used in the diagnosis of metabolic disease such as diabetes. Precise measurements are made with equip­ment maintained by the technologist. A microbiology technologist, or bacteriology technolo­gist, examines specimens for microorganisms, including viruses, fungi, parasites, and bacteria. It may be necessary to isolate and grow a specific organism to make a better identification for diagnosis. Treatment of a condition may depend on the results of testing various ways of dealing with the organism itself, before the patient can be treated. Clinical laboratory directors oversee the laboratory or the laboratory department. They usually hold an M.D., D.O., or Ph.D. They are responsible for the supervision of the technologists on the staff and for the quality of the work done. They may be in charge of sustaining the budget and determining the financial needs and respon­sibilities of the lab. They assign duties, hire and fire staff, and establish work rules and standards. Clinical laboratory supervisors, or medical technology supervisors, are the managers of the staff on a day-to-day basis. The supervisor assigns work schedules and assign­ments, reviews work and lab results, and may assist in training and continued education of the staff. The super­visor may also continue performing duties of the medical technologist. The chief medical technologist supervises the work of the entire laboratory operations, assigns duties, and reviews the reports and analyses. If you are interested in this career, take college pre­paratory classes while you are in high school. Science courses, especially those involving laboratory work, such as biology and chemistry, will be particularly helpful. Be sure to take math classes, including algebra and calculus, and computer science courses, which will aid you in preparing for working with calculations and technology. Round out your education with humanities classes, including English. English courses will give you the opportunity to develop your research and report writing skills. After you finish high school, your next step on the path to becoming a medical technologist is to get a bachelor’s degree. A number of colleges and universi­ties offer degrees in medical technology and clinical laboratory science. The typical course of study will involve a “preprofessional” phase lasting two or three years during which you take classes such as chemis­try, biology, math, physiology, psychology, English, and statistics. Following this, you enter a professional phase that is specialized for medical technologists. During this portion of your studies, generally lasting 12 months, you will take classes, such as immunohematology, clinical chemistry, and virology, as well as get hands-on experience working at the medical center or hospital lab associated with your program. You may also be required or encouraged to take classes in management, business, and computer science to prepare you for work in a professional setting. The National Accrediting Agency for Clinical Laboratory Sciences (NAACLS) accredits 469 medical technolo­gist programs, and those who graduate from such pro­grams are eligible to sit for certifying exams. Visit the NAACLS Web site to view a listing of schools across the country (http://www.naacls.org). Requirements for graduation may vary according to specialty. Advanced work in medical technology leading to graduate degrees and subsequent employment in teach­ing and research positions is available at an increasing number of universities. Certification of medical technologists verifies that people in the profession have met the educational standards recognized by the certifying body. After meeting cer­tain education and experience requirements and passing appropriate examinations, candidates may be certified as medical technologists (MTs), by the Board of Registry of the American Society for Clinical Pathology, the Ameri­can Medical Technologists, or the American Association of Bioanalysts. Another option is to become a clinical laboratory scientist (CLS), offered by the National Credentialing Agency for Laboratory Personnel. Certification is highly recommended for those who wish to advance in this field; some employers will not hire technologists without certification. Puerto Rico and some states require medical tech­nologists to be licensed or registered. Because licensure requirements vary and because new licensing laws may be adopted in other states, you will need to check with your state’s department of health or occupational licens­ing board for specific information about your area. Those in the profession predict that licensing will become more common as insurance companies involve the evaluation of laboratory certification (which affects the diagnoses of patients) in the cost of insurance to doctors and clinics. Because of the nature of the work, students interested in careers in medical technology should possess the follow­ing characteristics: accuracy, patience, and the ability to work under pressure. Other essential characteristics are manual dexterity and good eyesight (with or without glasses). Because the medical technologist must survive a rigorous training program, above-average scholastic aptitude is also necessary. You can learn about the health care field and hospital environments by doing volunteer work at a local hospi­tal or medical facility. Although you probably won’t be in the lab analyzing samples, you will be able to observe the workings of the institution and may meet profession­als willing to talk to you about their work. You can also ask your school counselor or science teacher to set up a career day during which a medical technologist would be invited to talk to interested students. Another possibility is to contact a local hospital or clinic and set up your own informational interview with a technologist. If you live in an area near a NAACLS-approved medical technologist program, visit the school and discuss career plans with an admissions counselor there. You should also contact sources listed at the end of this article for more reading material on medical technology. According to the U.S. Department of Labor, more than half of all medical technologists work in hospitals. Other employers include clinics, physicians’ offices, pharma­ceutical labs, public health agencies, and research insti­tutions. Some technologists work in Department of Veterans Affairs hospitals and blood banks as well as in the armed forces and the U.S. public health service. Medical technologists may concentrate on such areas as research, education, health policy development (particularly in government organizations), veterinary science, public health and epidemiology study and appli­cation, or diagnostic equipment research and develop­ment. Approximately 302,000 medical technologists and technicians are employed in the United States. Graduates of schools of medical technology may receive assistance from placement services at the schools in securing their first jobs. Hospitals, laboratories, and other companies employing medical technologists often get in touch with these placement offices and notify them of job openings. Positions may also be secured with the assistance of various registries of medical technologists. Newspaper advertisements and commercial placement agencies are other sources of initial employment. Advancement can be relatively rapid in the field of medi­cal technology. With satisfactory experience, certifica­tion, and perhaps more training, a medical technologist may advance to a supervisory position. Specialization can also lead to advancement. A medical technologist who has gained expertise in a specialty area, such as cell marker technology, biogenetics, or product development, is likely to see an increase in salary, professional prestige, and responsibilities. Considerable experience is required for advancement to a position as chief medical technolo­gist in a large hospital. Graduate training is necessary for advancement to positions in research and teaching. Advancement prospects may be better in large hos­pitals or independent laboratories that have many departments. A wage and vacancy survey conducted by the American Society for Clinical Pathology’s Board of Registry (BOR) found that medical technologists in staff positions earned an annual average wage of $40,200. Those in supervisor and manager positions earned an average of between $59,200 and $63,000 per year. Earnings varied within these categories based on such factors as employer, size of city, and location in the country. Those working in the far West, which included Alaska, Arizona, California, Colorado, Hawaii, Idaho, Montana, Nevada, New Mexico, Oregon, Utah, Washington, and Wyoming, reported the highest earnings. Those who worked for private clinics, small hos­pitals, and in rural areas had the lowest earnings. The U.S. Department of Labor reports that median annual earnings of medical laboratory technologists were $46,710 at the end of 2004. Salaries ranged from less than $32,880 to more than $64,990. Benefits vary by employer but typically include paid vacation time, sick leave, and health insurance. Medical laboratory personnel usually work a 35- to 40­hour week, with night or weekend duty often required in hospitals. However, with the current staff shortage, overtime in some facilities has become common, with required amounts of overtime hours assigned to staff. Medical technologists must exercise meticulous care in their work to avoid risk of exposure to diseases or contamina­tion of a testing sample, requiring the retesting of the patient. Plastics have replaced glass, so risk of cuts from broken equip­ment is greatly reduced. Chemicals and their containers and usage have also improved with the advancement of technol­ogy, so chemical burns are rare. Lab workers must often work under pressure at painstaking tasks. 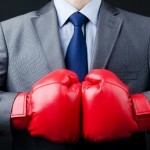 Workloads can be heavy because of staff shortage in the workplace. According to the U.S. Department of Labor, employment of clinical laboratory workers is expected to grow faster than the average through 2014. Although hospitals will continue to be the major employer of medical technologists, non-hospital medical and diagnostic laboratories, offices of physicians, and blood and organ banks will offer the best employment opportunities. The number of medical technologist positions to be filled are expected to exceed the number of qualified applicants, increasing employment opportunities. Also, the development of new types of tests and the population growth will add to the demand for medical technologists.